Not even the staunchest rugby union fan can deny that the entire eyes of the sporting world are on the Fifa World Cup when it rolls around every four years. However, when it comes to international matches in between, the round ball game has struggled to produce regular meaningful fixtures for the periods in between. Apart from continental championships and qualifiers, it has been difficult to get the public interested in friendlies and this year UEFA have introduced a new competition known as the ‘Nations League’ to fill the void. Does the same problem exist in rugby? For the ‘Tier One’ nations, most definitely not. Just look at the list of test matches lined up for this year’s Autumn Internationals...I don’t think fans will have any trouble finding the motivation to enjoy the likes of the Aviva or Twickenham Stadium hospitality throughout the month of November. England host all three southern hemisphere powerhouses over a four week period but the marquee match up definitely has to be the showdown in Dublin on the 17th between Joe Schmidt’s Ireland and the All Blacks. The reigning world champions have gotten accustomed to first place in the rankings for many years now but their recent home defeat to the Springboks, together with Ireland’s 2018 successes which included a Grand Slam title plus a series win in Australia this year, means that could be in jeopardy. One thing is for sure...none of those matches can be considered to be ‘meaningless friendlies’!!! Outside those top nations things are a little different. Proud rugby nations like Samoa, Japan, Romania, Georgia, even arguably Italy and Argentina must wait until the top tier has set their schedule before getting a look in, and this is something that World Rugby is hoping to address when they make changes to the game’s calendar from the year 2020 forward. 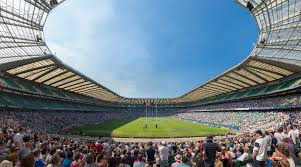 Still, with crowds of 50,000 and over guaranteed in several different rugby grounds this autumn, there will definitely be plenty to catch the eye of the wider sporting public, and that can only be good for the game as a whole. The sport is growing in popularity every year and with its own World Cup set to take place in Japan in 2019, the growth possibilities for the sport are seemingly endless.